As interesting as the swamp cooler project is...... Chupa stole the show !! Do you start work at the crack of dawn or is he always this talkative? Chupa is a professional....he crows on que no matter what time of day it is. On que, indeed. He's becoming more and more a star. 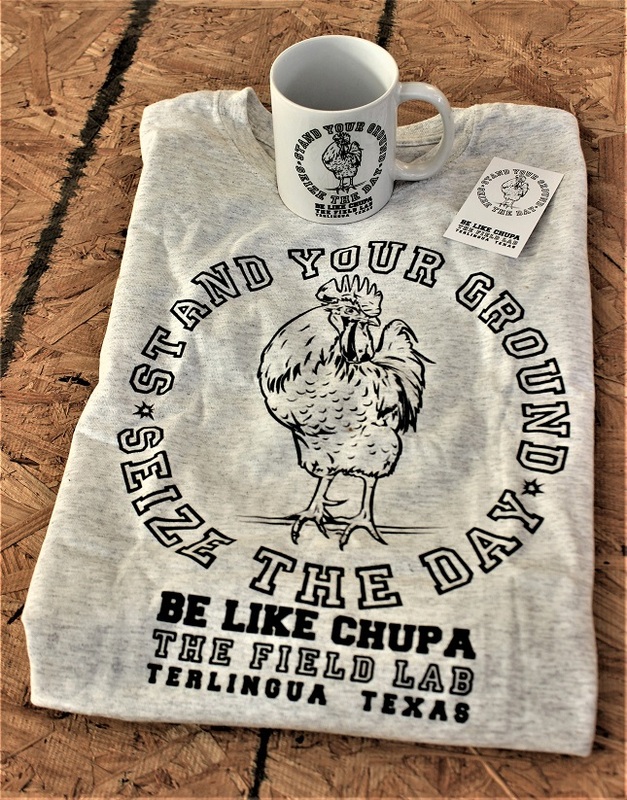 That ought to create an uptick in Chupa 'Stand Your Ground' mugs. I know I'll buy one. Its easy, I just got mine in the mail 2 days ago. But the tshirts.... them are rarer than gold! As I was delivering mail today in the heat, I wondered, while feeling the chill of the ice cold water slosh down my throat, "He can train a rooster, wash clothes while riding a bike, skin a rattlesnake, and pop Jiffy pop harnessing heat from the sun, but can he make ice?"